An extra helping. 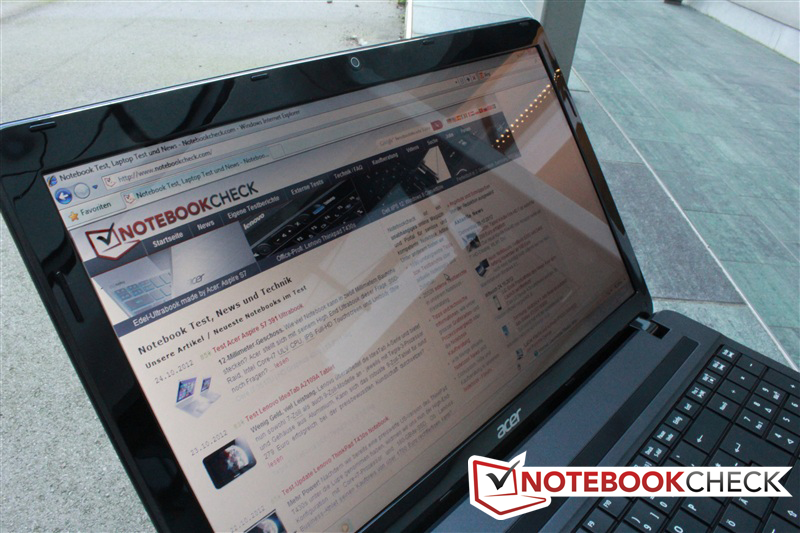 Acer's Aspire E1-531 promises a big 15.6-inch screen for little money. With an Intel Pentium processor and 6 GB of working memory, the elegant giant wants to prove that it can be more than just a workplace or a portable home cinema. It might just be a real bargain considering a purchase price of merely 300 Euros (~$389). It gleams in dark gray on the desk. 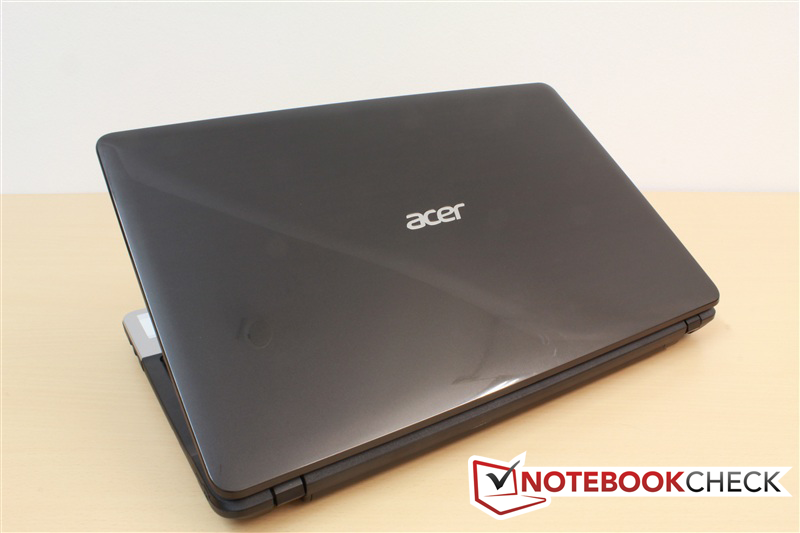 Only a silver stripe and Acer's logo catch the eye. 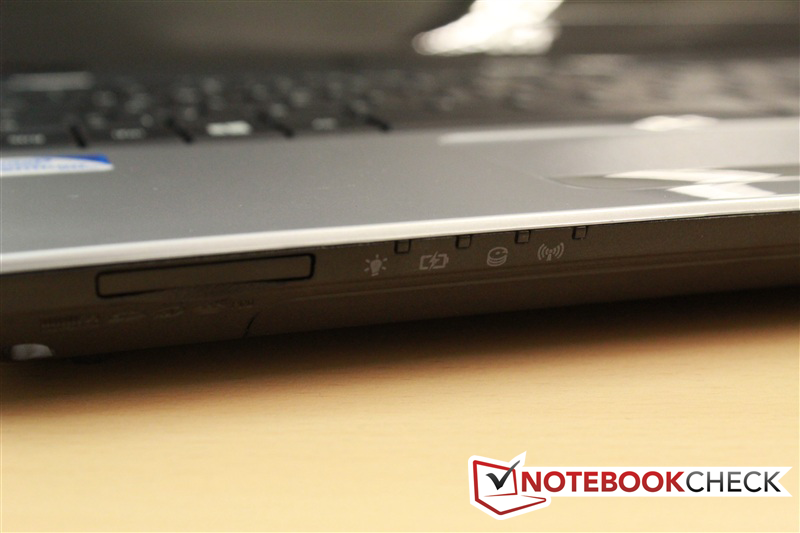 When opened, the Aspire E1-531 shows us what it has to offer right away - thanks to stickers. Intel's Pentium dual-core processor with 2.2 GHz and its integrated Intel HD Graphics (Sandy Bridge), 6 GB of working memory and a 500 GB hard disk are installed. This bundle is rounded off with a large 15.6-inch screen and a small price. The device's color design is restrained and elegant. 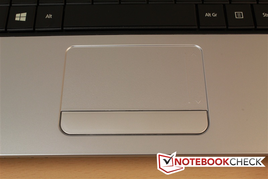 While polished gray dominates the lid's back, black and silver take turns when the notebook is opened. The glossiness does not stop here and categorically gleams although it is only plastic. An elegant design leaves little room for gaps and thus you can take pleasure in good workmanship throughout. Rounded rather than angular edges and a bezel with a normal thickness of 18 mm (~0.7 inches) around the screen fit well in the concept. The display rocks marginally when opened but quickly stops again. 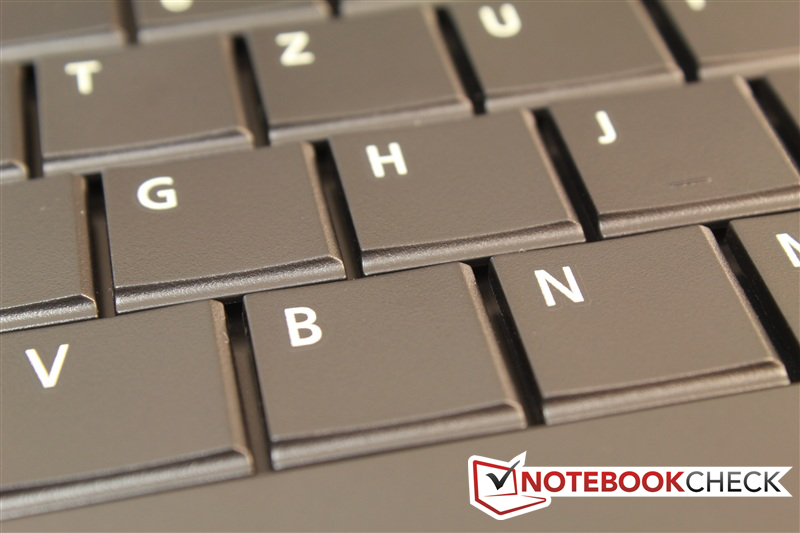 The Aspire E1-531 does not make a bulky impression despite its size. 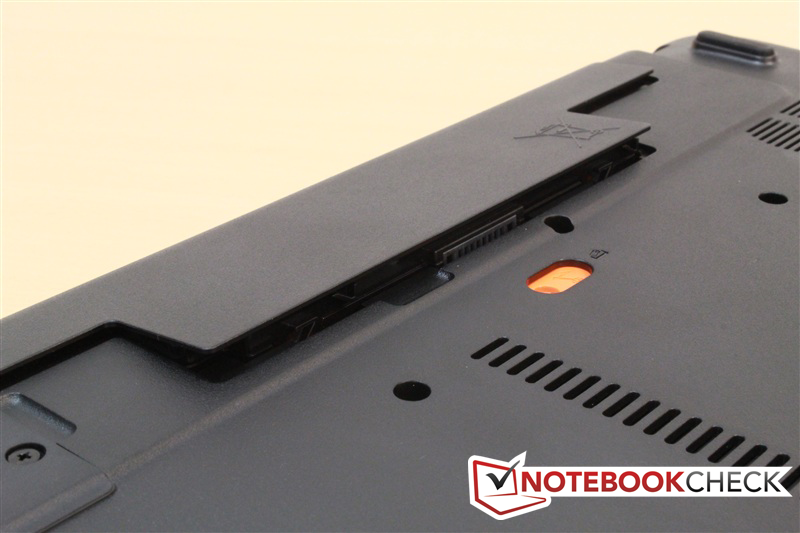 The laptop's battery and innards are easy to access on the bottom. The striking, colored fastener for the battery is submerged and can be easily triggered with one finger, but prevents it from being opened accidentally. The cover on the bottom can be lifted quickly and easily after removing two screws. It conceals the working memory and HDD. There are not any big surprises in connectivity. The 5-in-1 card reader on the front sports a dummy card and closes the slot flush with the rest of the casing. It also keeps dust away from the laptop's innards. Thought has also been put into port distribution. All interfaces for stationary use, so power, monitor sockets, Ethernet and one USB port are found on the left and two USB ports on the right. All connections are sufficiently spaced in line with the laptop's size. However, fast USB 3.0 is not installed. Broadcom cards provide both LAN and WLAN. Wireless network access always worked without interferences because a correspondingly sized antenna is installed. Connections with 802.11 b/g/n networks can reach speeds up to 72 Mbit/s. Other features, such as Bluetooth, are not available. A webcam with a resolution of 1 megapixel is built in above the screen. The corresponding, virtually invisible microphone is on its right. Neither of the two units is unusual, but they are sufficient for video calls. In addition to a nicely illustrated, A4 sized quick start guide, a more detailed warranty brochure is in the box. Also a driver DVD is included with a paperboard for structural support. The version of the device we were provided with included a Linux operating system. This makes a low price possible. If you want Windows on your laptop, you will have to buy it separately or be the owner of a valid license. Both the working memory and the hard disk are easy to access and replace. All RAM slots are filled in the test device. 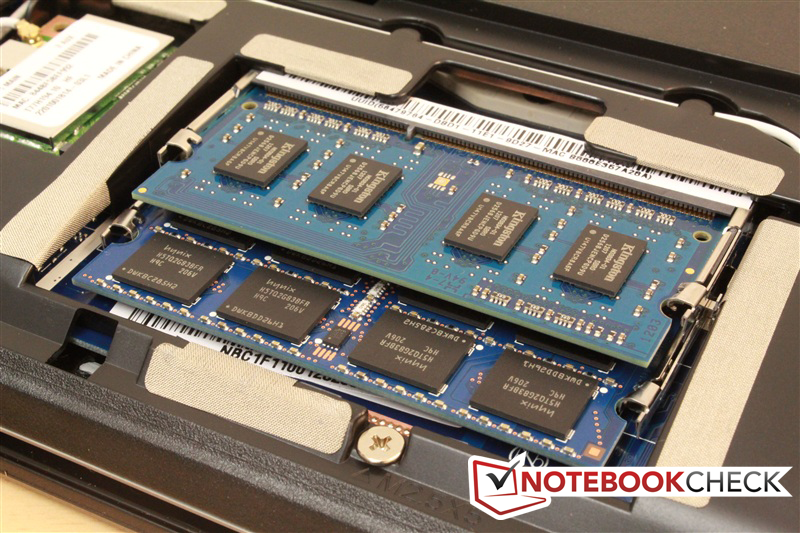 The already generous configuration of 6 GB of RAM cannot be upgraded with another module. It is even easier to access the battery - the above-mentioned lock mechanism provides both security and fast access at the same time. A standard two-year pick-up & return service is included in the purchase price. The international warranty period is reduced by one year. Depending on requirements, the warranty can be extended up to 4 years. This costs between 79 Euros (~$102) and 179 Euros (~$232) and merely includes a bring-in service. 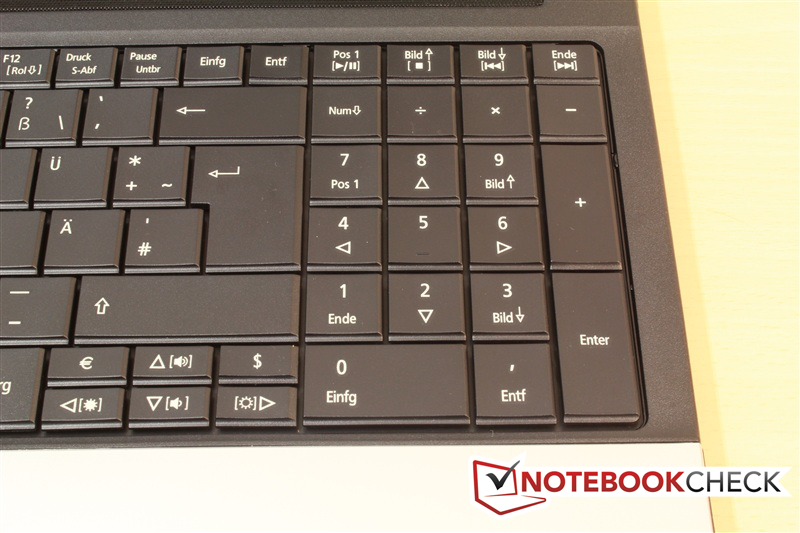 Corresponding to the wide screen, a complete keyboard as well as a number pad is installed. The wrist rest is thus moved a bit more to the left than in devices with space-saving keyboards. This can be inconvenient in mobile use. Regrettably, typing on the keyboard is not really compelling. A weak pressure point and sleek surface cause a spongy typing feel - the slight inward curve does not improve that either. Moreover, the keys yield excessively at their edges and corners. 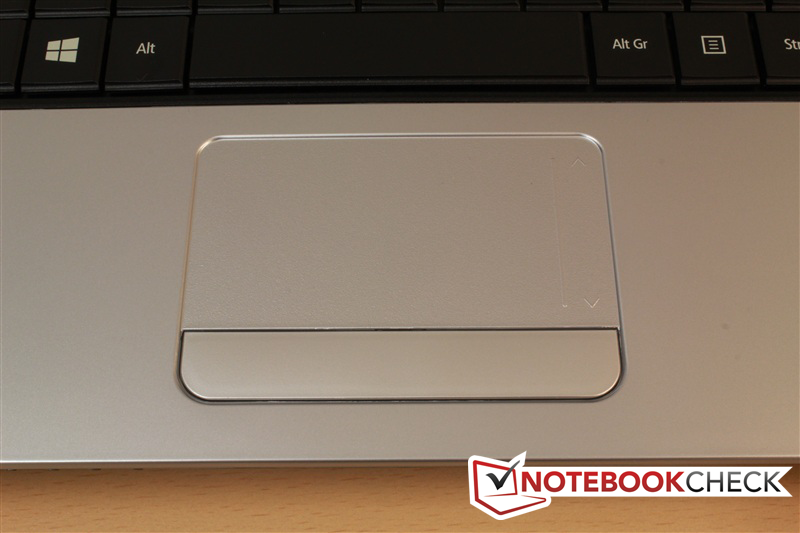 Just like the keyboard, the touchpad has also been moved to the left. The roughened surface supplies a pleasant, haptic feedback during use. On the right is a prominent scroll bar. Although the mouse keys feature a well-chosen pressure point, they can only be triggered on the left and right third of the big key. Thus, a lot of unused room is in the center. The hardware's multi-touch gestures are detected agreeably well - but unfortunately only a limited number are available. The 15.6-inch screen's resolution of 1366x768 pixels is adequate but not outstanding. The glossiness does not stop here since it is a very reflective screen. The irregular brightness level that changed without obvious reason in our test device was unpleasant. The average brightness of 211.3 cd/m² is not awesome either. At least the screen has a quite homogeneous illumination of 92%. 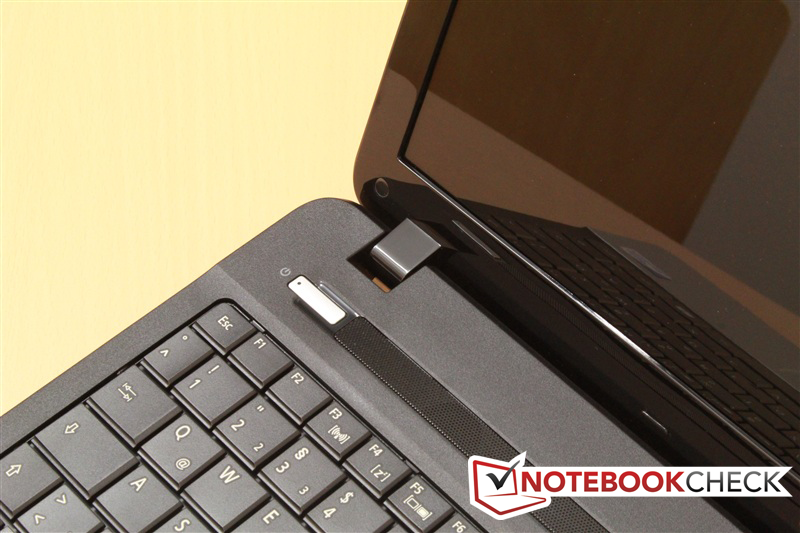 The Aspire E1-531 lags just behind the IdeaPad N581. A pleasant surprise is the unusually crisp contrast of 709:1. Since this was hard to believe, we repeated the measurement and it was confirmed. It is an advantage for home cinema use in any event. A lot can be seen on the big screen - but when outdoors what you see is mostly the surroundings. The extremely reflective screen partly degrades the screen to a rearview mirror. 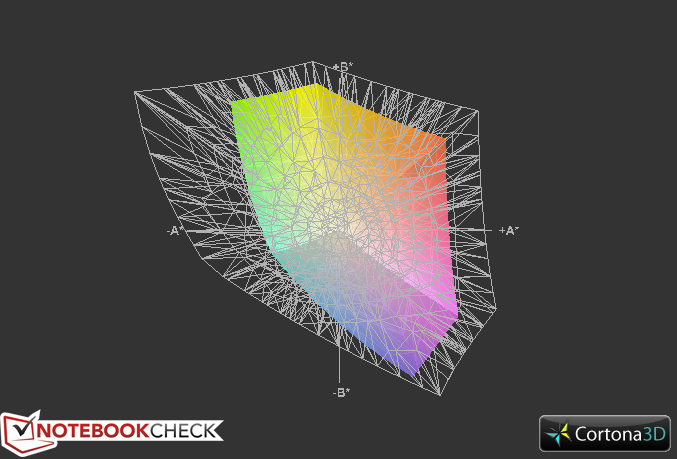 That, alongside the color intensity that fades depending on the viewing angle, is an unfavorable combination. The screen simply lacks the luminosity to compensate for this. Thus, the device was intended for indoor use. 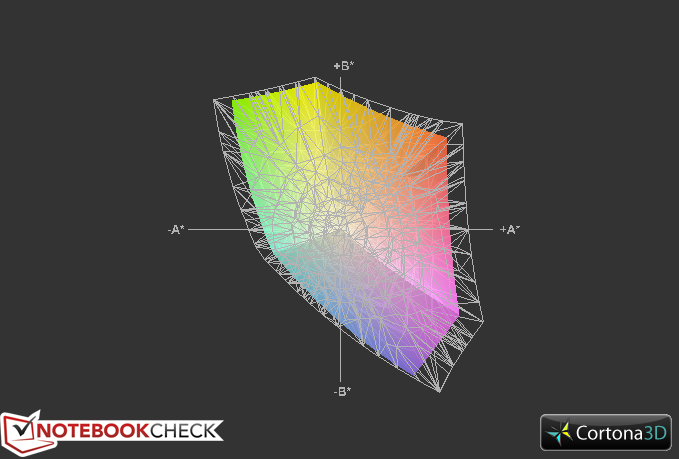 In addition to the reflectiveness, the viewing angle stability is also an issue. While the image quality only suffers to an extent from the sides, annoying effects quickly evolve when looking up or down. Minor distortions are even visible when sitting directly in front of the E1-531. 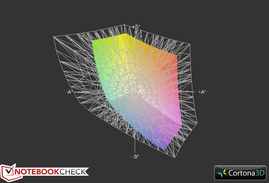 The colors fade and darken particularly towards the top of the screen. A moderate CPU/GPU array alongside a quite generously configured working memory of 6 GB - how will it fare in practice? The processor is Intel's Pentium B960 clocked to 2.2 GHz. 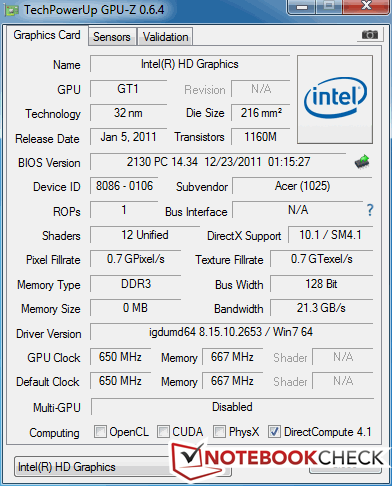 Corresponding to that, Intel's HD Graphics (Sandy Bridge) takes care of graphics. But let us look at the system in detail. 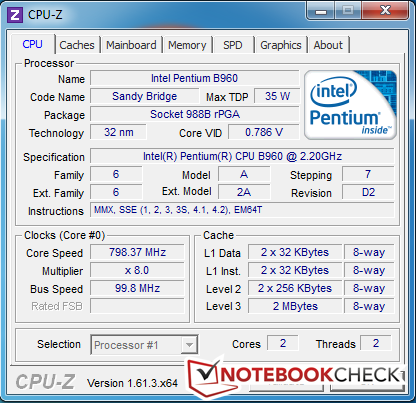 Intel's Pentium B960 runs with a default clock rate of just below 2.2 GHz. This clock speed is maintained in the practical test using Cinebench. The full performance is also available on battery power. 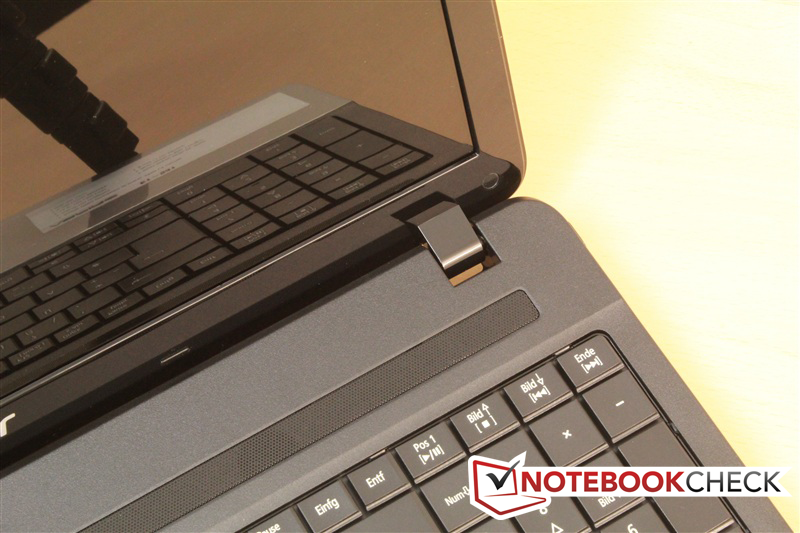 Lenovo's IdeaPad N581 featuring Intel's Pentium B970 achieves similar benchmark scores. 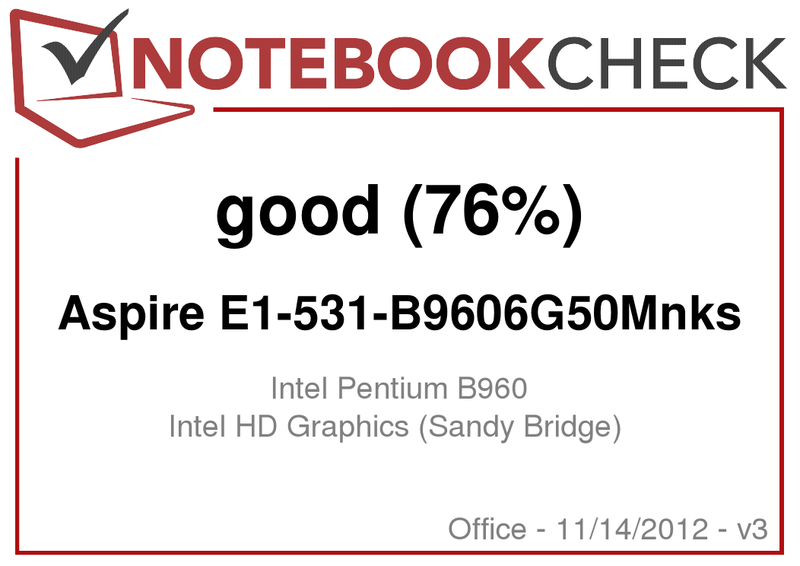 Basically, the CPU benchmarks from the Aspire E1-531 are within the expected range of the installed processor. For comparison, a current i3 entry-level CPU from the Ivy Bridge generation offers roughly 70% more power. 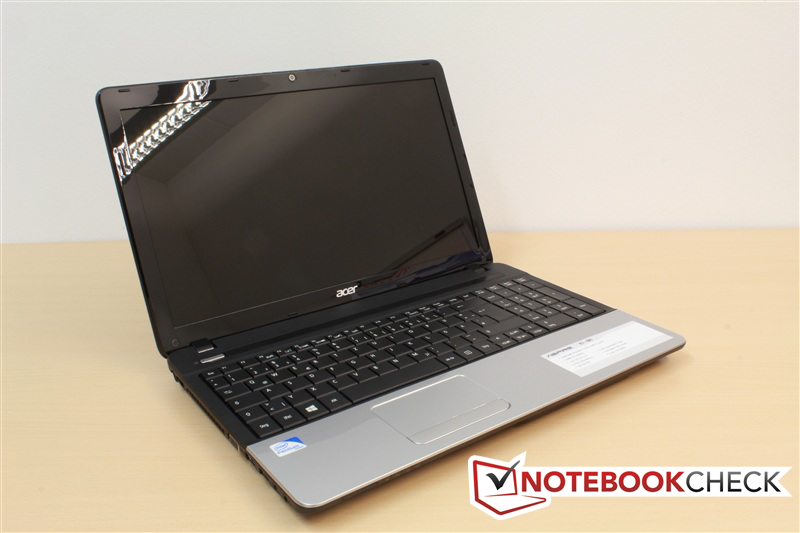 The Aspire E-531 places itself between Acer's Aspire V5-571G and Sony's SV-E14A1M6EW in system performance. Both devices are more expensive and let the 1857 points in PCMark 7 look quite good in the end. Nevertheless, we are only on the performance level of office laptops. 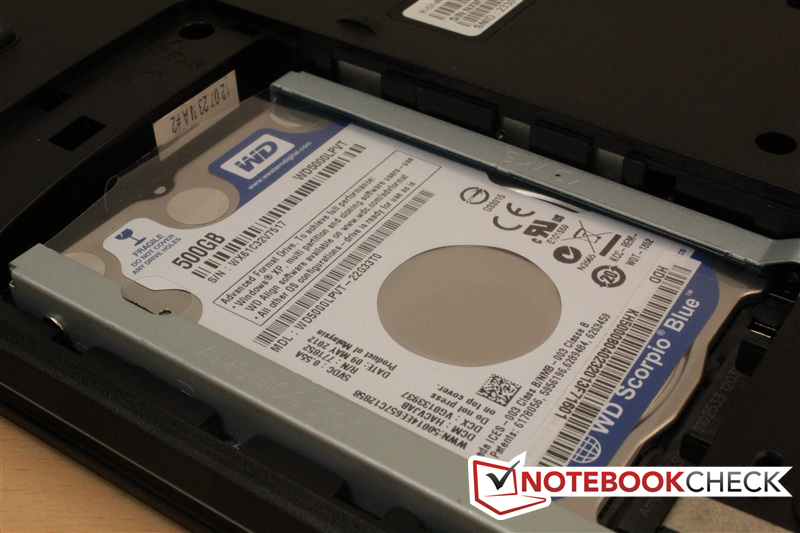 Western Digital's 500 GB hard disk corresponds to the current standard. It is even quite fast with an average write speed of 90.7 MB/s and a peak rate of 119.5 MB/s. We did not notice any performance drops in the write performance either. 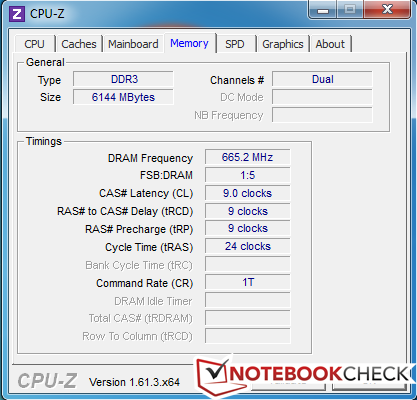 This combination consistently loads the processor to a total capacity of 5.4%. 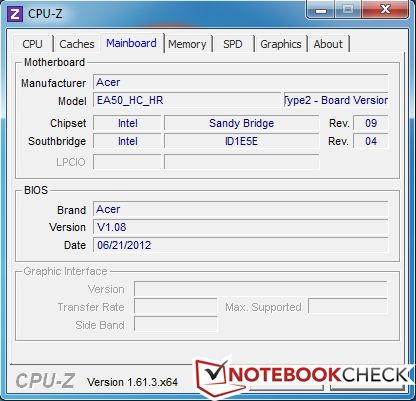 Intel's CPU and its integrated Intel HD Graphics (Sandy Bridge) are used as a mobile solution. The test based on 3DMark 06 makes a good impression - our test laptop leaves devices using the same CPU/GPU array, such as Lenovo's B750e or the IdeaPad G580 (also Lenovo), behind by over 20%. Unfortunately, the laptop refused to run the 3DMark 11 benchmark because the hardware only supports DirectX 10.1; a bad omen for the gaming tests. The wide screen is actually predestined for gaming, but the hardware is not quite apt for this field. 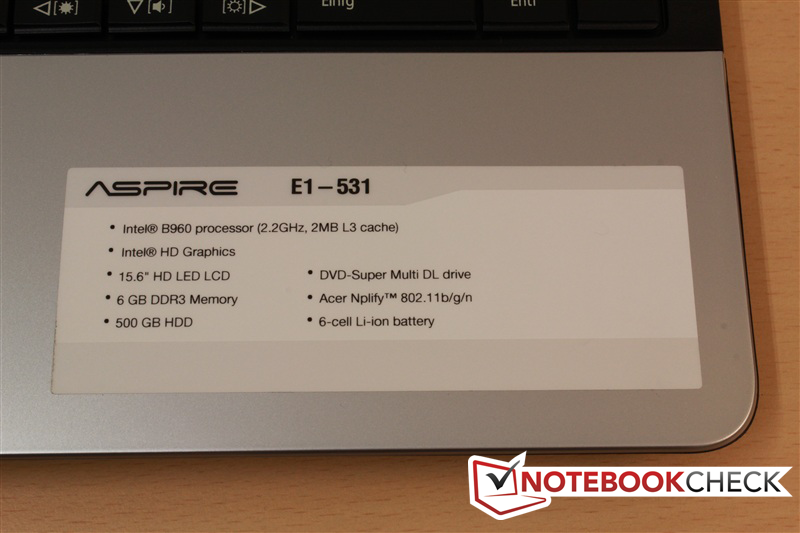 The Aspire E1-531 did not manage to go beyond the red fps figures even in games with moderate hardware requirements, such as Anno 2070 or Diablo 3. Rates below 30 fps cannot be whitewashed when stutters instead of gaming fun are on the agenda. The fan's speed quickly increased to maximum, which also shows that the test device had a hard time. The fans could not save the situation either - the laptop failed the gaming test as expected. The Aspire E1-531 will feel most comfortable in office and Internet use as well as when rendering videos. 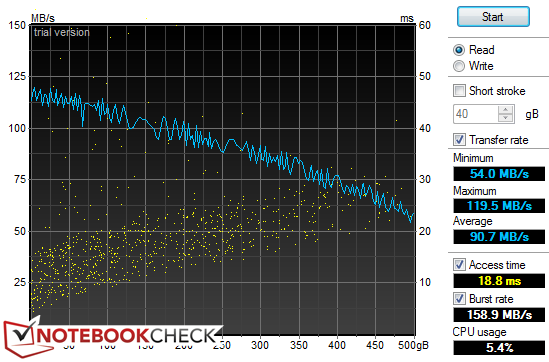 The Aspire E1-531 was not louder than 33.3 dB(A) in idle, which was only slightly louder than the hard disk's noise. 40 dB(A) were just surpassed during load. 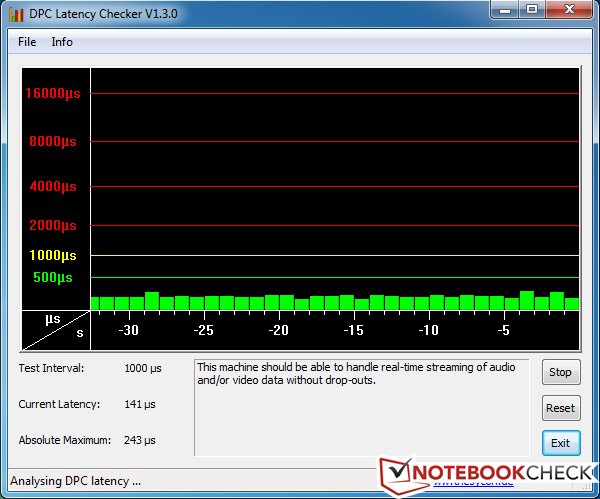 A rate of 35.7 dB(A) was measured while playing a DVD - which is average compared with contending laptops. Temperatures of up to 30.1 degrees Celsius (86.2 °F) were reached on the laptop's surface while it was idling. The left-side wrist rest and center touchpad only marginally warmed up to 27.9 and 29.7 degrees (82.2 and 85.5 °F), respectively. In practice, however, this is not distracting. While the temperature difference between idle and load was only 1 degree (33 °F) at the upper right, the laptop's lower center reached 43.1 degrees Celsius (109.6 °F). Even 46.6 degrees Celsius (115.9 °F) is reached at the bottom. The PSU got really hot with 54 degrees Celsius (129.2 °F). CPU temperatures of up to 82 degrees Celsius (179.6 °F) were recorded inside the E1-531 during the stress test. (±) The average temperature for the upper side under maximal load is 35.4 °C / 96 F, compared to the average of 29.4 °C / 85 F for the devices in the class Office. (+) In idle usage, the average temperature for the upper side is 27.4 °C / 81 F, compared to the device average of 29.4 °C / 85 F.
(-) The palmrests and touchpad can get very hot to the touch with a maximum of 43.1 °C / 109.6 F.
(-) The average temperature of the palmrest area of similar devices was 28.2 °C / 82.8 F (-14.9 °C / -26.8 F). 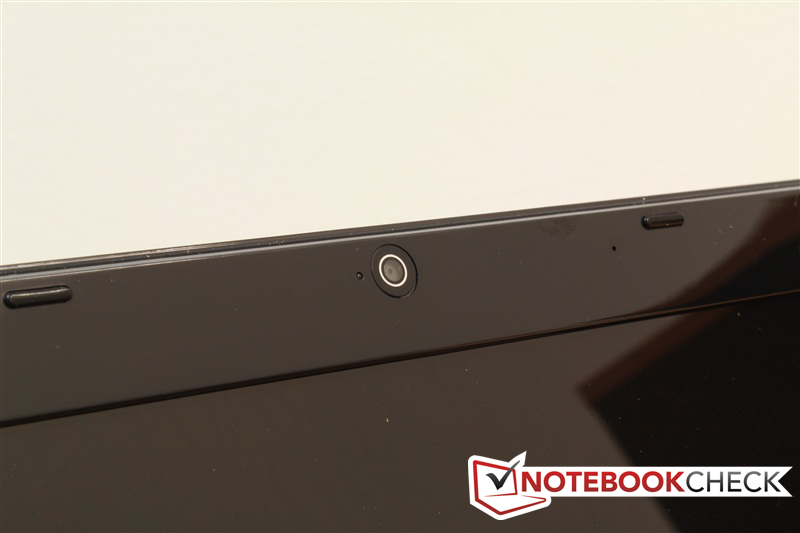 A broad bar between the display and keyboard extends over the device. The stereo speakers are installed here and again provide a pleasant surprise in our test. The maximum volume is agreeably loud and an audible range is reached before the speakers overdrive. While trebles and midrange are rendered clearly, the low-range occasionally sounds muddy. However, the low-ranges also sound compelling when these frequencies are not overtaxed. Overall, the basses lack a bit of force which would however affect the sound quality. Nevertheless, it will be sufficient for a DVD night in any case. 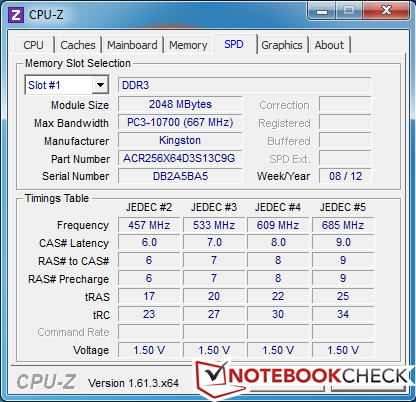 The Aspire E1-531 consumed between 6.9 and 12.8 Watts when it ran without load. 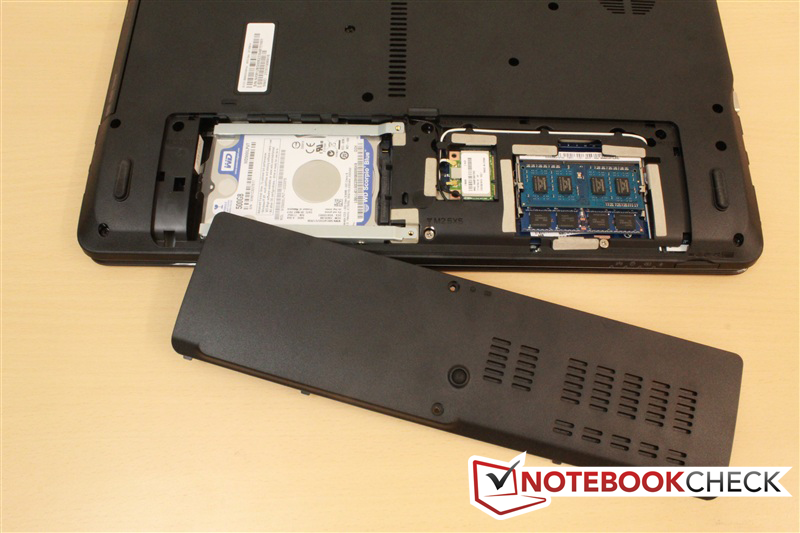 Thus, our test device beat HP's 630-LH384EA but cannot reach the IdeaPad N581. This quickly changed during load where an average of 32.6 Watts is drained from the outlet. A maximum of 51.6 Watts was reached in this test, which is more than in all comparable devices. The laptop consumed 0.1 Watts when off and 0.2 Watts in standby. These rates are within a normal range. 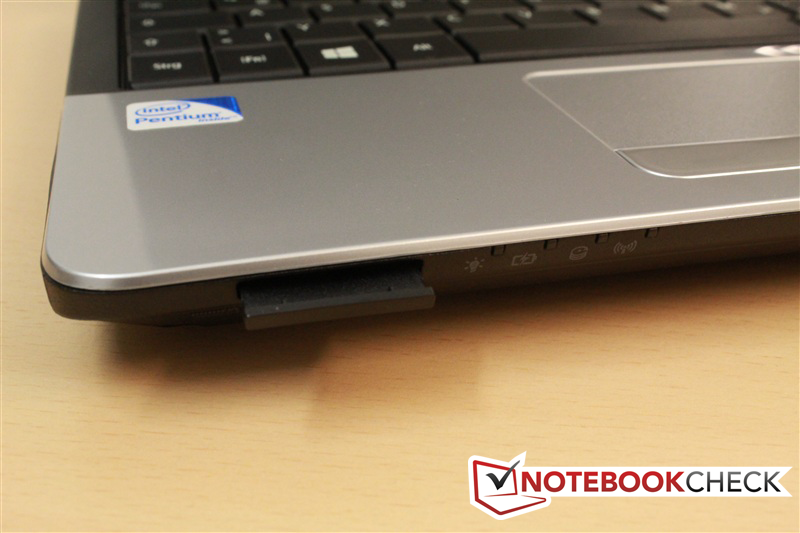 The Aspire E1-531's 6-cell battery has a capacity of 48 Watt hours. Battery Eater indicated a maximum runtime of 6 hours and 10 minutes in idle mode. On the other side, the stress test stopped after 1 hour and 13 minutes. The battery runtime nearly reaches 4 hours when browsing on the Internet. DVD movies should not exceed a length of 3 hours and 10 minutes. 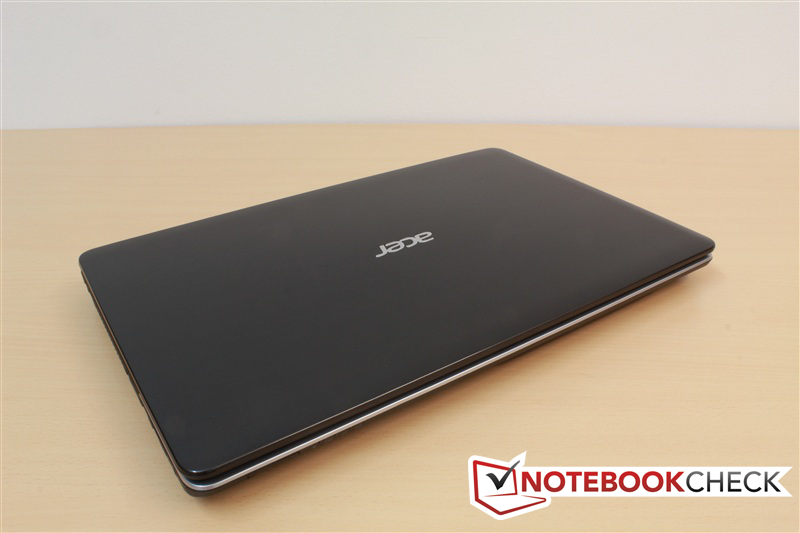 Acer's Aspire E1-531 positions itself as a tightly calculated entry-level laptop for tight budgets. 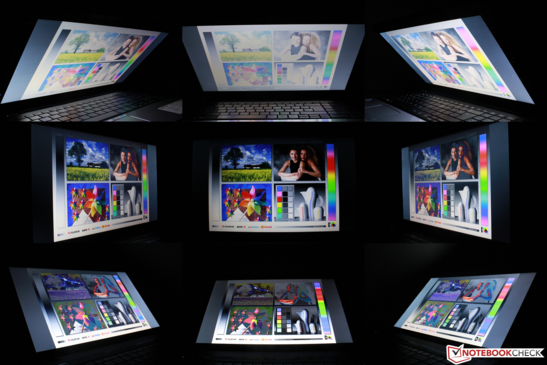 It comes along with a large screen that is extremely reflective and quickly loses its color brilliancy. The image contrast is a pleasant surprise though. The keyboard is also big but does not provide quite as a good typing feel. Also, the generous 6 GB of working memory is complemented by a mediocre CPU/GPU array. This criticism is only put back into perspective by the very low price of around 330 Euros (~$428), a 2-year warranty and elegant looks. 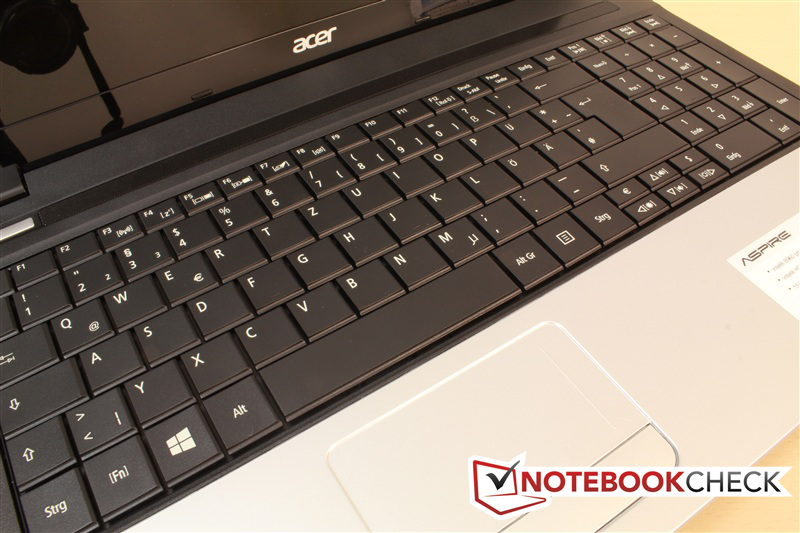 The Aspire E1-531's design and workmanship do not reveal its bargain price. So, if you are looking for an affordable laptop for home cinema use and occasional office work, you might find it in this device. The sticker reveals what's found inside. 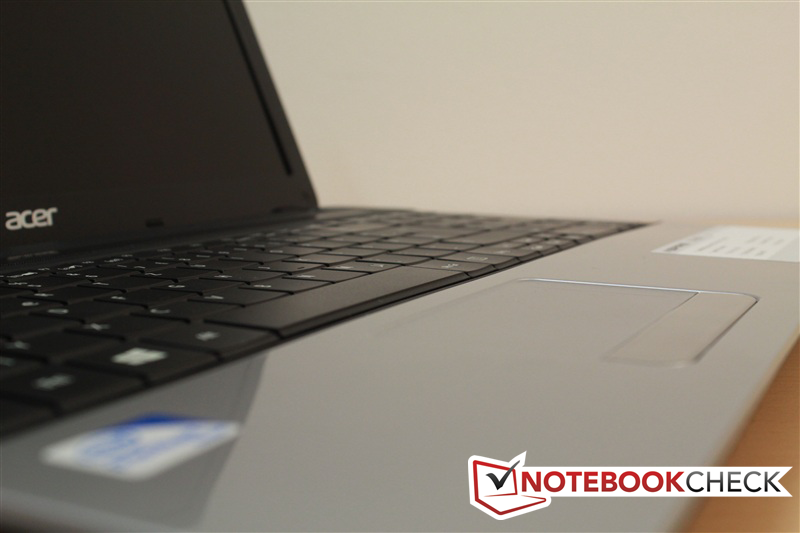 ... the laptop features good workmanship for its low price. 6 cells supply the device with power. The battery is easy to remove - but only if you want. The hard disk is easy to access. Both RAM slots are occupied. A dummy card protects the slot. 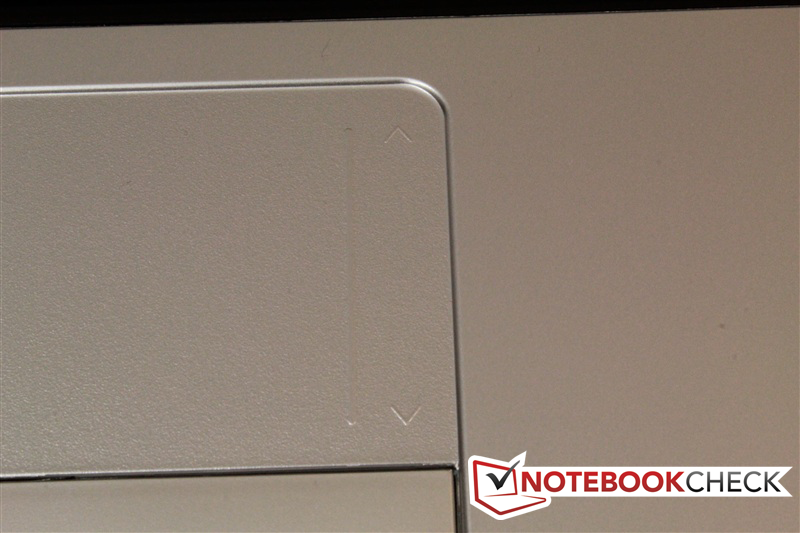 The scroll bar on the touchpad is lightly engraved. The keyboard sports a complete number pad. Gray and silver give the affordable laptop elegant looks. 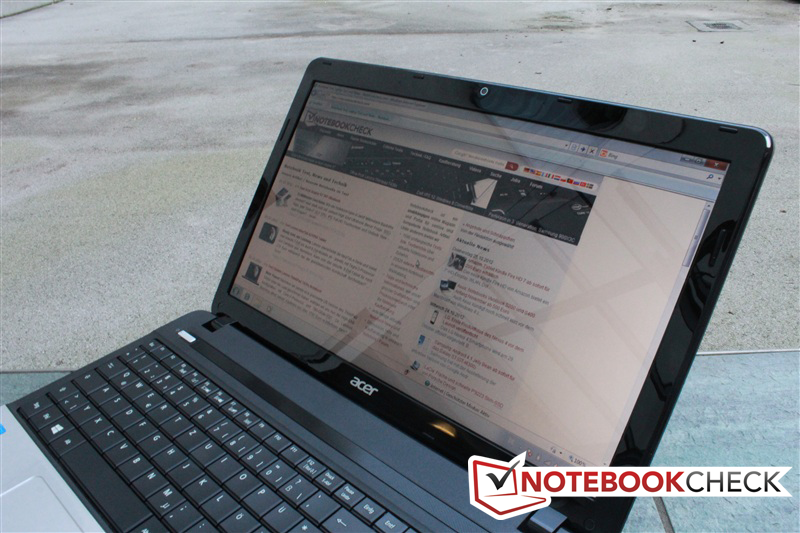 A media laptop featuring a big screen for less than EUR 400 - perfect as an entry-level model. To call the Aspire E1-531 an Office laptop, it would need a decent keyboard. Small speakers featuring a decent sound - good vibrations are ensured in any event. 6 GB of working memory will postpone upgrading needs for a while.